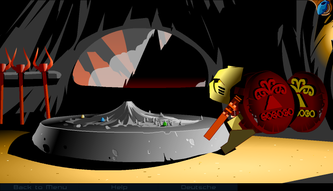 Offline version provided by LEGO / JrMasterModelBuilder / -Auron- / alpha123. 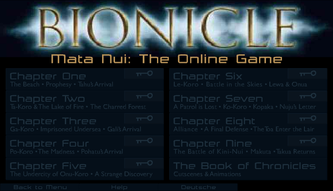 Originally called Mata Nui Adventure Game, the MNOG is one of the games that marked BIONICLE the most. 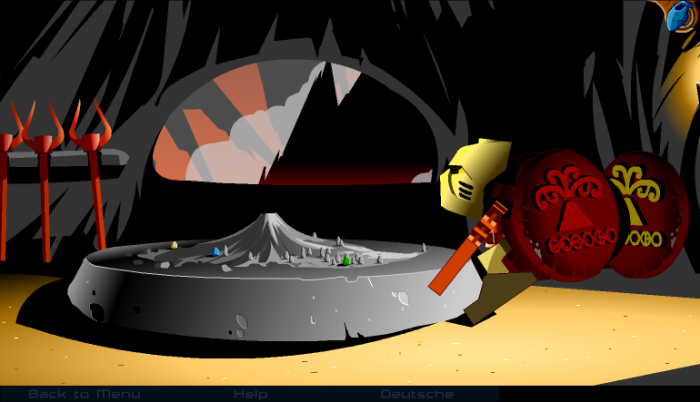 Although with relatively simple graphics, it was extremely popular and loved among the fanbase, not just because the music and the many animations were nicely done, but also because one got a clear overview of the tropical island of Mata Nui, their villages and their villagers. 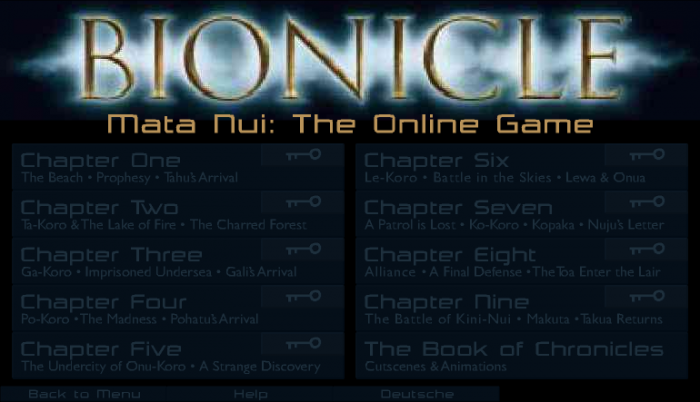 This game surely was very significant for many BIONICLE fans in the way they perceived BIONICLE and the island of Mata Nui. It has also become kind of a symbol for BIONICLE being the first big BIONICLE game and shall be remembered as long as BIONICLE exists, and very likely even further. 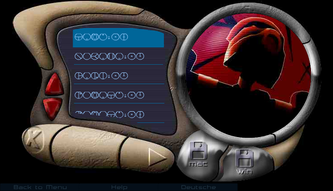 Unique for BIONICLE, it was released in January 2001, taken down in early 2004 but re-released as offline version in March 2006 with a detailed walkthrough from the perspective of Takua, the Matoran one plays as, a fact one does not know before the end. 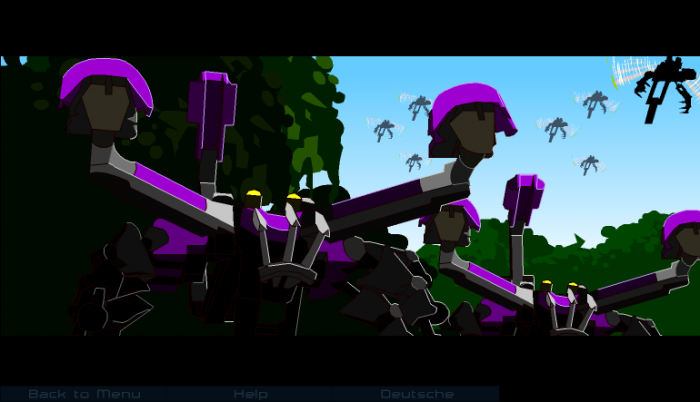 On March 2009 it was officially taken down once again. 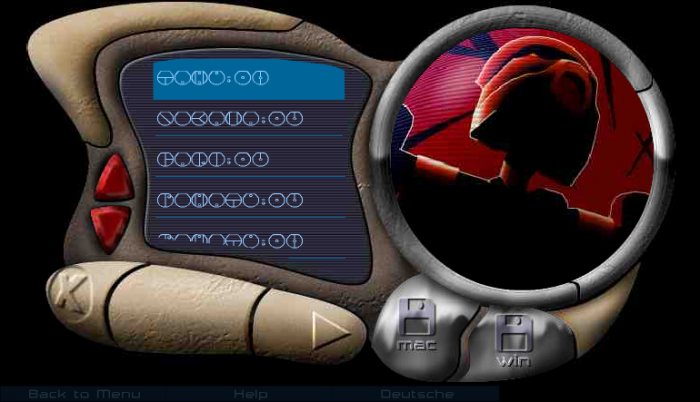 Thanks to JrMasterModelBuilder and alpha123, you can play this game with automatical save feature, too. This version also reverts all the changes the 2006 version had over the 2001 one, like the lightstone being available from the beginning instead of having to find it in Nokama's hut or the animation of the first encounter with Tahu not being available. 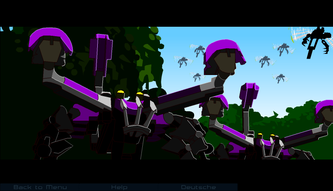 The not saving version does not have any differences from the version re-released in 2006 (which had said minor differences over the 2001 version). The walkthrough can be downloaded here, too. Requirements: Unzipping software (WinZIP, 7-Zip, StuffIt Expander), Web browser for HTML version, Adobe Flash Player 5 or higher (Adobe Flash Player browser plugin for HTML version, BAT files PC only), Adobe Reader for walkthrough. © 2001 Templar Studios, LLC. All rights reserved. Templar is a registered trademark.